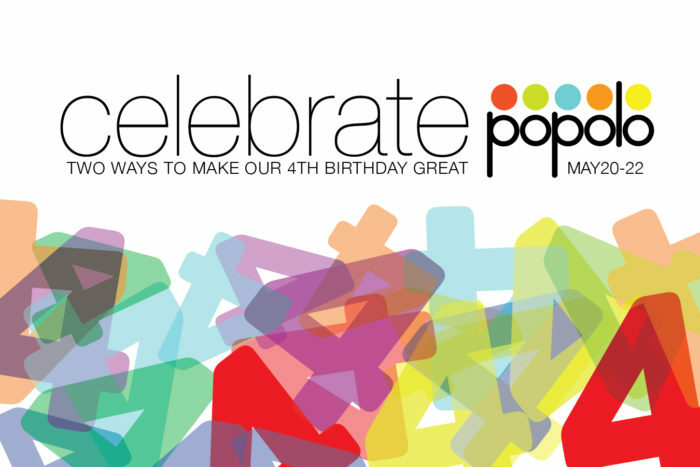 Popolo opened its doors four years ago on May 22. Since then we’ve served more than 100,000 meals and shared in the lives of thousand of people. There are two ways you can mark this anniversary and make it great. 1. Let’s celebrate! Friday, May 20 through Sunday, May 22, we’ll be giving away meals, gift cards, tee shirts, and birthday cake. It’s a party. Probably the early evenings will be quiet fun and as the night progresses there will be revelry. That’s one way. 2. Throughout the festivities we need to remember that not everyone can come out to a fabulous place like Popolo. Oh, sure, we can gloat about how luck we are to be able to do this. And we’re sure there will be some gloating, some of it by us. But there’s more: to celebrate our birthday, we’d like your help. During these three days we’ll be raising money for Our Place Drop In Center, just across the canal from Popolo in Bellows Falls. A food pantry, meal site, and social service resource, Our Place serves almost as many meals as we do, and we’re busy! This tells you something about the scope of need in our community and what a great job they do. In a recent conversation with Our Place’s Lisa Pitcher, we’ve learned that what they really could use right now is protein: meat, milk, eggs, and cheese. Using Popolo’s purchasing power, we can turn financial donations into protein for the center. Many small donations make a big difference as we all know. So come in and 1.) celebrate with us and, 2.) if your feeling it, help us make life a little better for others less fortunate. If you can’t come in, you can learn more about Our Place here. Every penny we receive goes to purchase food for Our Place. here.